KOTA KINABALU: The new Sabah government’s concern over forestry activities, including illegal logging is not indicative that such activity is still rampant in the state. Chief Minister Datuk Seri Shafie Apdal said the government was concerned as other criminal activities involving forestry might still be happening. In view of this, the government would be reactivating the Illegal Logging Eradication Committee under the Chief Minister’s Department, said Shafie in a statement yesterday. The decision, he said was in line with provisions under the Forestry Enactment 1968. “We will be able to strengthen implementation and enforcement of laws in order to protect the state’s forest reserves from exploitation,” he said. 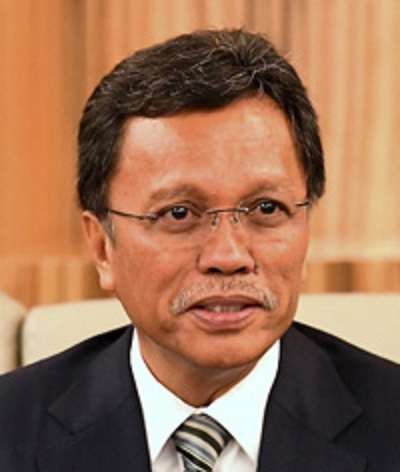 Shafie also said the state government urged all logging companies operating in Sabah to comply with the conditions stipulated in their licence as well as the Forestry Enactment 1968 and the Forestry Methods 1969. “The government needs to take this proactive action in order to improve its efforts to ensure an all encompassing and effective forest management so that the rakyat can enjoy the benefits,” he stressed.